The Wrap reports Ross Butler, Daniel Yang, and Cody Kearsley have boarded the Riverdale TV series pilot. Butler has been cast as Reggie Mantle. Yang is Dilton Doiley. Kearsley will play Moose Mason. They join KJ Apa who was previously cast as Archie. Betty will be played by Lili Reinhart. Camila Mendes is set as Veronica. The Suite Life‘s Cole Sprouse will play Archie’s best bud, Jughead. Ashleigh Murray has been cast as Josie (of Pussycats fame). The Riverdale pilot began at FOX. The CW started developing it, once FOX decided not to move forward. Archie Chief Creative Officer Roberto Aguirre-Sacasa is writing the pilot. Greg Berlanti (Arrow, The Flash) is executive producing. Back in November, we published Riverdale character descriptions. Archie is reportedly buff. Betty has self-esteem problems and abuses Adderall. Find out more, here. 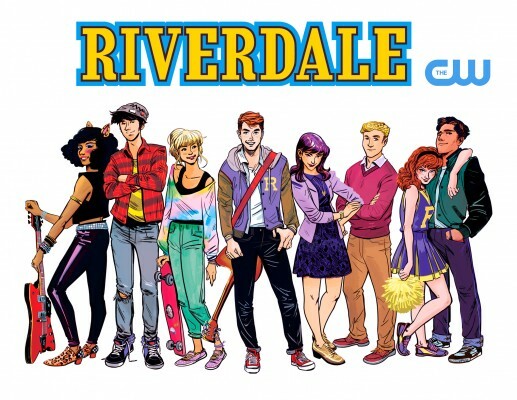 What do you think of the Riverdale TV show pilot cast? If it is ordered to series, will you watch? Sound off, in the comments. More about: Riverdale, Riverdale: canceled or renewed?, The CW TV shows: canceled or renewed? Riverdale: Will the CW Series Finally Resolve the Archie Love Triangle?